Bonaventure Tuxedo prides itself on having the most up to date formalwear and tuxedo styles in a constantly changing and evolving environment because everyone wants what’s in style right now. For any formal event a classic or traditional tuxedo is among the favorites for most formal and classic options. Another option is the slim fit, for a closer, more exacting fit compared to the classic or modern tuxedo. Whatever tuxedo style you decide upon we will have you looking your very best for any occasion or event you want to make an entrance at. 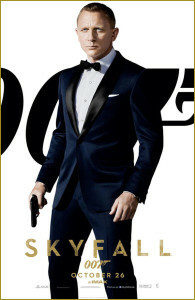 Style of Tuxedo – What best suits your physique and occasion and the necessary accessories too. The point of a tuxedo is not to just dress up and look nice, even though that may part of it, but it is only a small part. The major point is to commemorate a special event or occasion by wearing something special that you wouldn’t normally wear anywhere else. Your tuxedo says that, “this moment is very special to me and this is where I really want to be. For over 35 years Bonaventure Tuxedo has been on the cutting edge of Tuxedo and suit rentals on Long Island, and keeping abreast of the current styles and latest fashions in the tuxedo rental world is part of the job. In the business of tuxedo rentals and tuxedo sales, experience and knowledge is highly sought after, and with Bonaventure tuxedo our customers satisfaction is of premier importance. We are proud to carry the latest tuxedo designs from the famous clothing designers listed below, but please be aware our in-store tuxedo and suit inventory changes quite rapidly with the seasons and of course during the popular times of the year for weddings and other black tie events and special occasions.